← And the winner is… Daffodils! 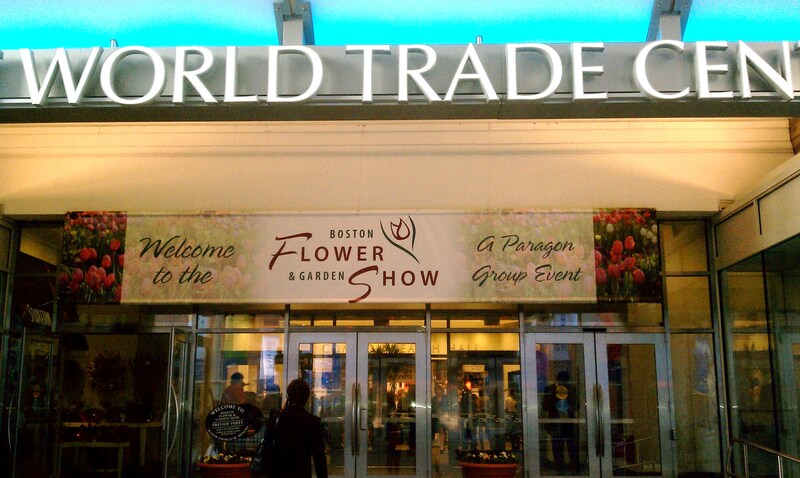 The Boston Flower Show is abloom at the Seaport World Trade Center! But hurry, it’s only there through Sunday. 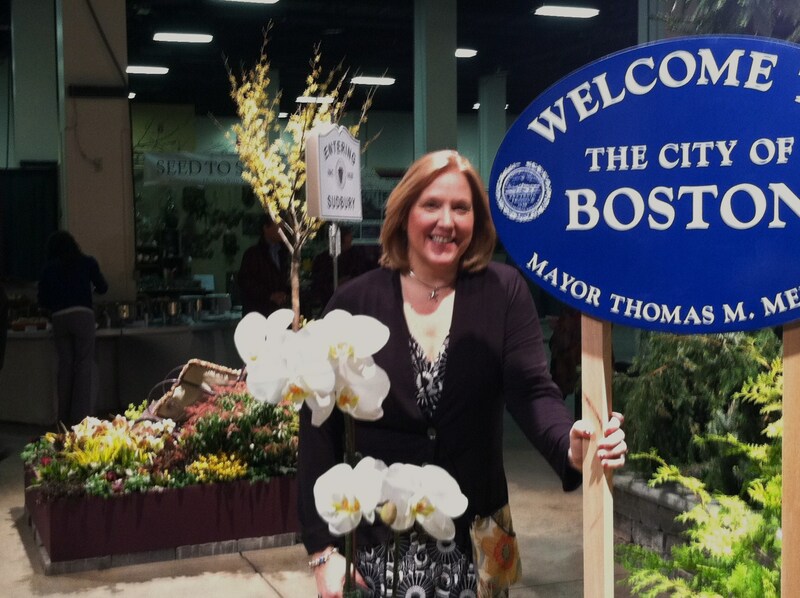 My husband, my mom and I attended the Flower Show preview party on Wednesday night, a benefit for the Boston Parks Department. They do such great work! 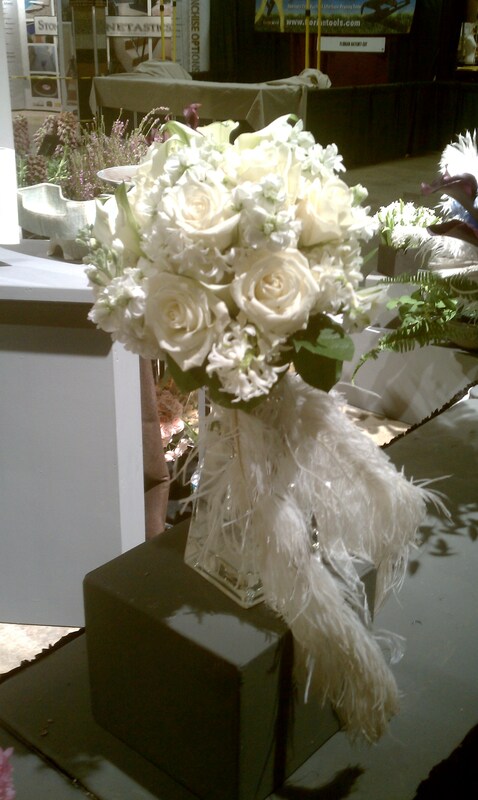 It was wonderful to smell the hyacinths tucked in the corner of a garden bed and the roses in the wedding bouquets. The bed of orange tulips was welcoming and there were bright, perky yellow daffodils everywhere. 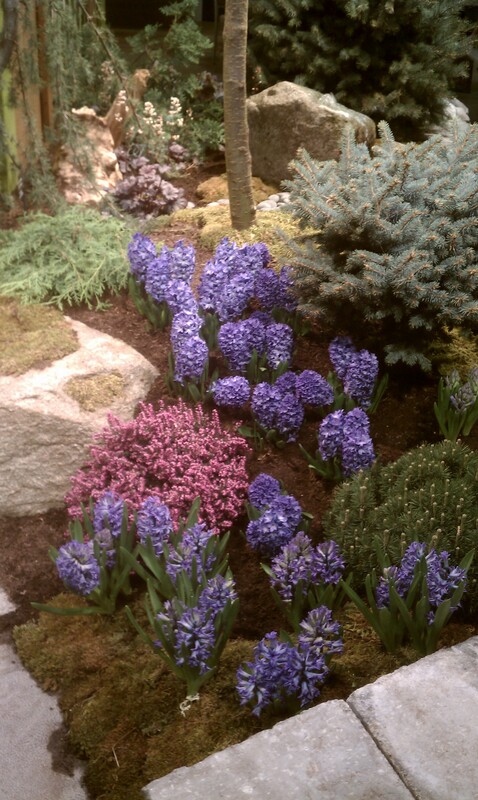 The show floor has 10 or so beautifully landscaped vignettes. 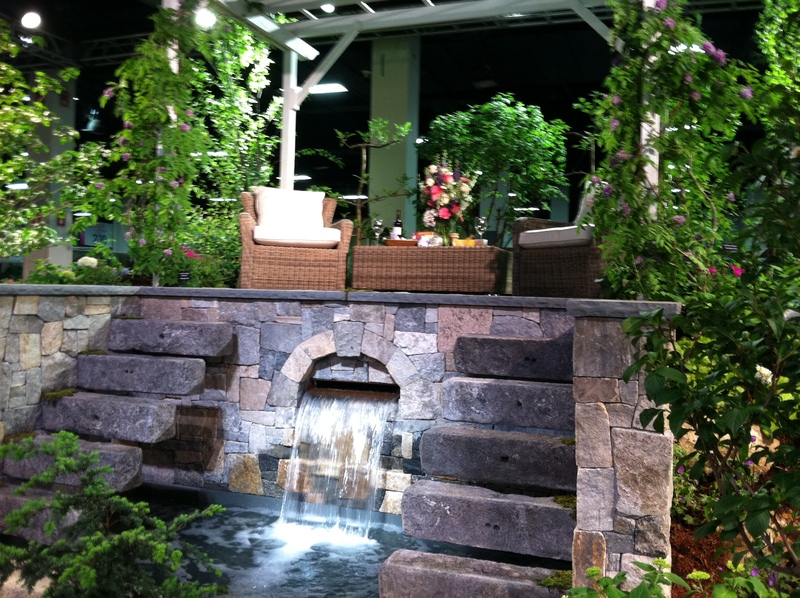 The tiered garden with the splashing waterfall flanked by suspended staircases got our vote as most desirable! 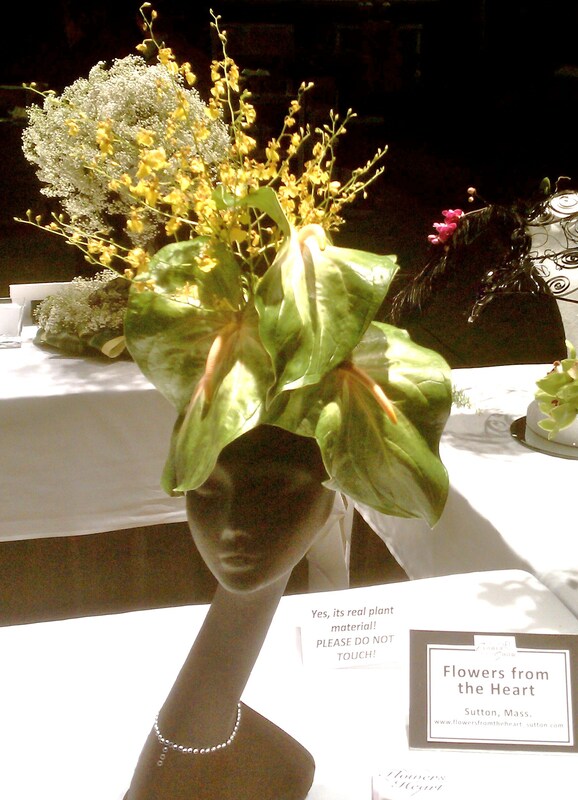 And there was time to admire the color, whimsy and surprises in the display of flower hats and flower shoes. There was something to see, smell and hear around every turn. What fun! The show did seem a bit smaller than in year’s past. Not sure if that is true or my imagination. Maybe it’s the two sides of vendors selling garden items that makes the show seem a bi t squeezed. 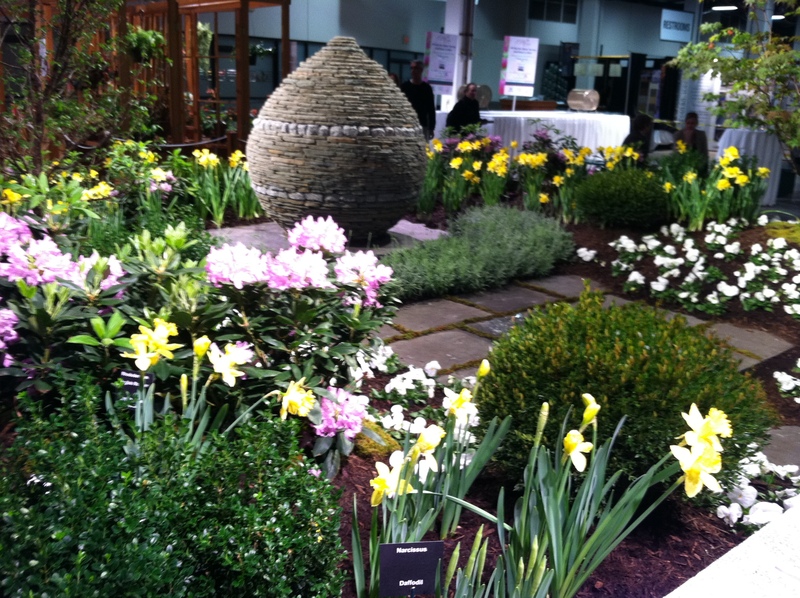 Even with that, it was worth taking in… I am jazzed to start designing my garden and planning for the new season. I’m actually thinking about making a vertical garden of clematis or mandevilla. The show definitely spurred my thinking. I’ll share more in the days and weeks ahead. Spring is next week. Can’t wait! 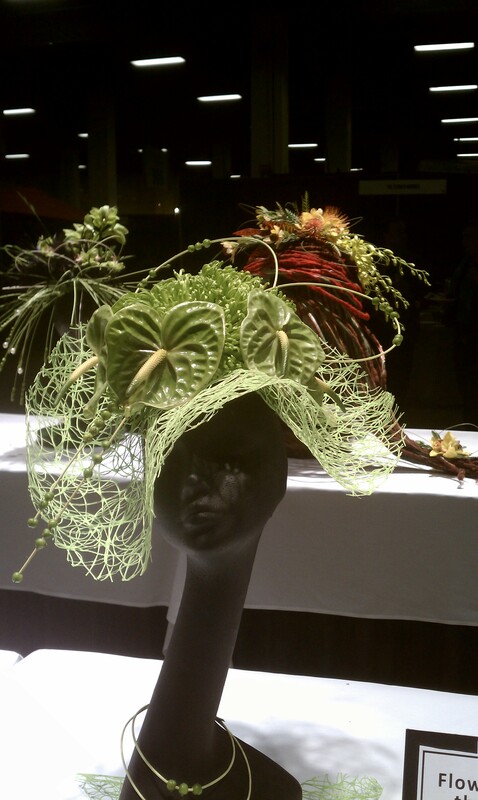 This entry was posted in Flower Shows, Flowers and Plants, Places to Visit and tagged Flower Design, Flower Show. Bookmark the permalink.